Meets 2015 NHRA and Rule Amendment for Pro/Mod Drag Racing Series. 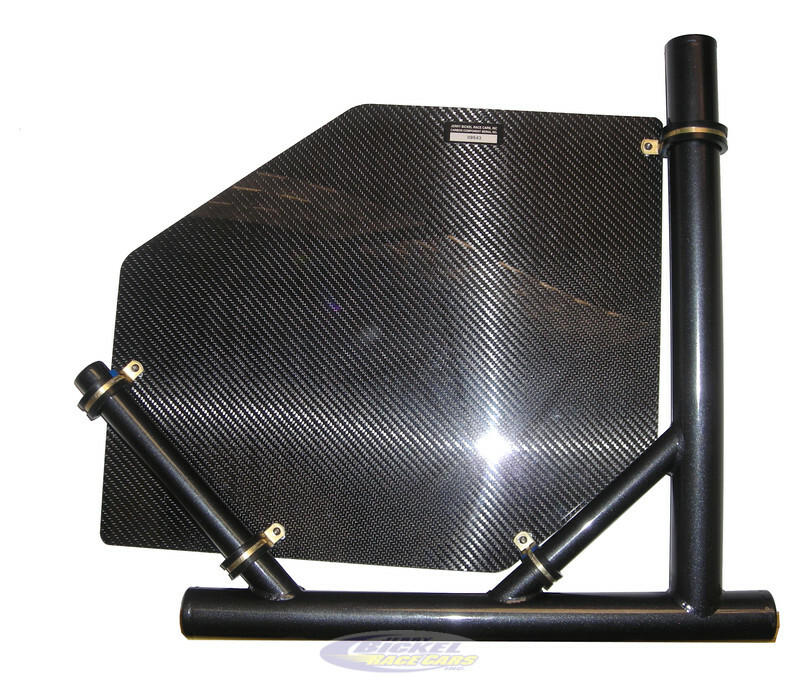 Kit includes: 24" x 24" .040 NHRA approved Carbon Material with Fire Resistant Resin. (2) each 1 5/8", 1 1/4" and 1" Sure Grip Cushion Loop Clamps, Floating Plate Nuts, Screws and Rivet Hardware. Panel can be trimmed to fit roll cage, as well clearance for driver accessibility to Overhead Control Panel. Loop clamps fit around roll cage tubing (NO WELDING) and panel is fastened to the clamps with screws to plate nuts riveted to top of panel.